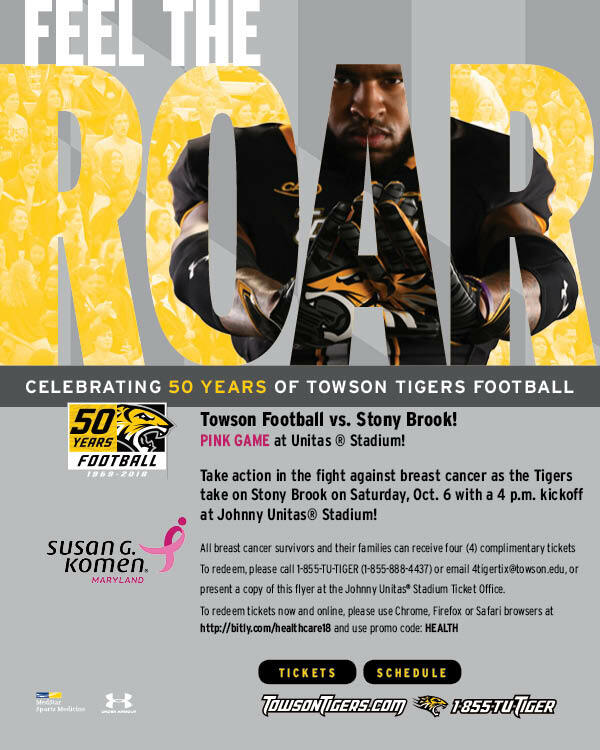 Join Komen Maryland on October 6 and take action in the fight against breast cancer as the Towson Tigers take on Stony Brook at Johnny Unitas® Stadium for their annual PINK game. Kickoff time is at 4pm. The game will feature breast cancer education and fundraising for Komen Maryland.